At the start of each school year, C.A. Tatum Jr. Elementary School Principal Juan Pecina has the opportunity to meet with the sons of his school’s namesake. Thursday, the late C.A. Tatum’s sons, C.A. 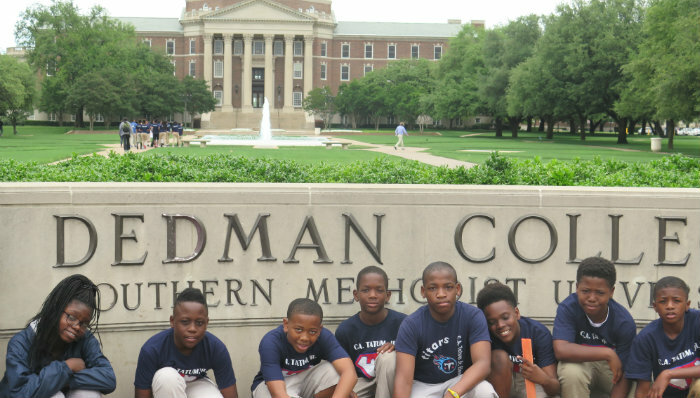 Tatum III and Henry, did just that—potentially opening up a brand new world for 95 fifth-graders from Pleasant Grove. The students were excitement personified—running, pointing, taking selfies and asking all manner of questions about campus life. It was their first time to visit a college campus, and it seemed to have left a lasting impression. 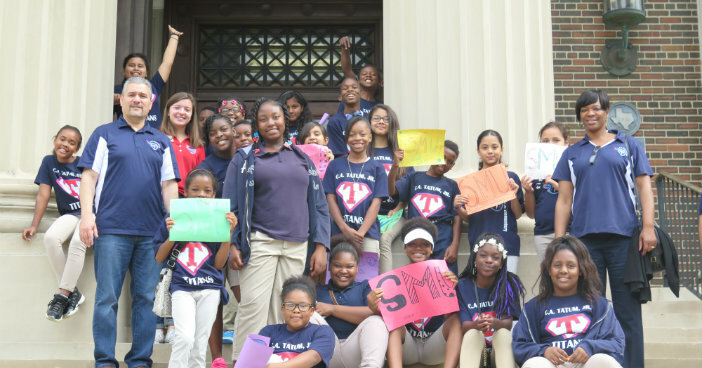 Fifth-grader Aangel Gomez trailed the main group of talkative students, and appeared to relish taking in all the new sights and information. “I want to go to college to study science and become a paleontologist to discover a new species of dinosaur,” Aangel said. 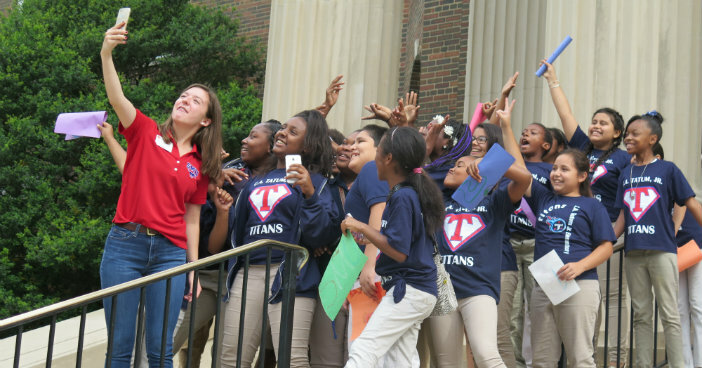 Angel’s reaction was just what the school’s supporter and tour organizer, C.A. Tatum III, had in mind when he planned the visit. 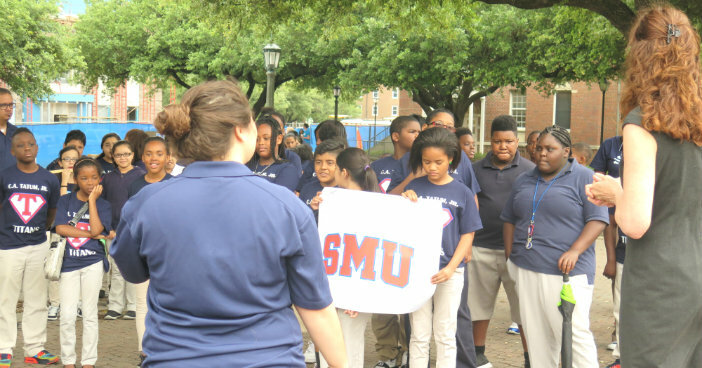 “SMU doesn’t normally conduct tours for elementary students because there are so many elementary schools, they just don’t have the bandwidth,” Tatum said. But at his request, the university made an exception. After all, he is the son of a former SMU board chairman and prominent alum, the late C.A. Tatum Jr.
Tatum III is convinced that students like Aangel really need to visit a college campus to begin to imagine what it would be like to attend college, and he hopes it will spark a desire in them to study hard, graduate high school and aspire to college. Pecina says the tour made a lasting impression on his fifth-graders. 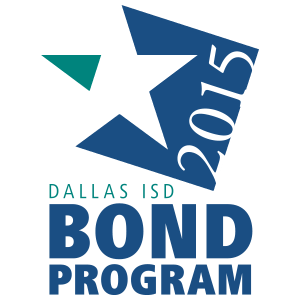 “Some of the students were telling me they were thinking of going to the University of Texas,” Pecina said. “It’s a public college they hear about all the time. 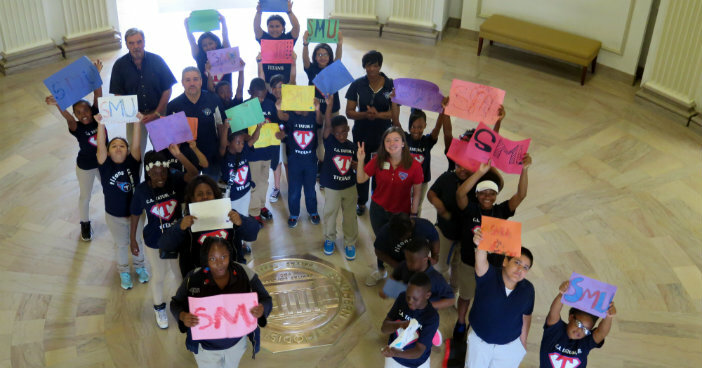 But after the tour, five or six of them said they want to attend SMU.